Hi, I’m John Hill, owner of Lile Knives, LLC. Some years ago, I and a former partner purchased all rights to the Lile brand from Marilyn Lile. I have always had the ultimate respect for Marilyn and Jimmy and their products. My goal is to deliver the best custom knife of this type in the world. Our current maker, Vaughn Neeley, is a 37-year, veteran, custom knifemaker. Vaughn uses only the finest materials in the world. Everything is made in his shop with the exception of the compass and twine. They’re all hand-ground, perfectly fitted and finished – custom style. Other people copy Jimmy’s knives, some are okay. We are not the cheapest, but we are the best. 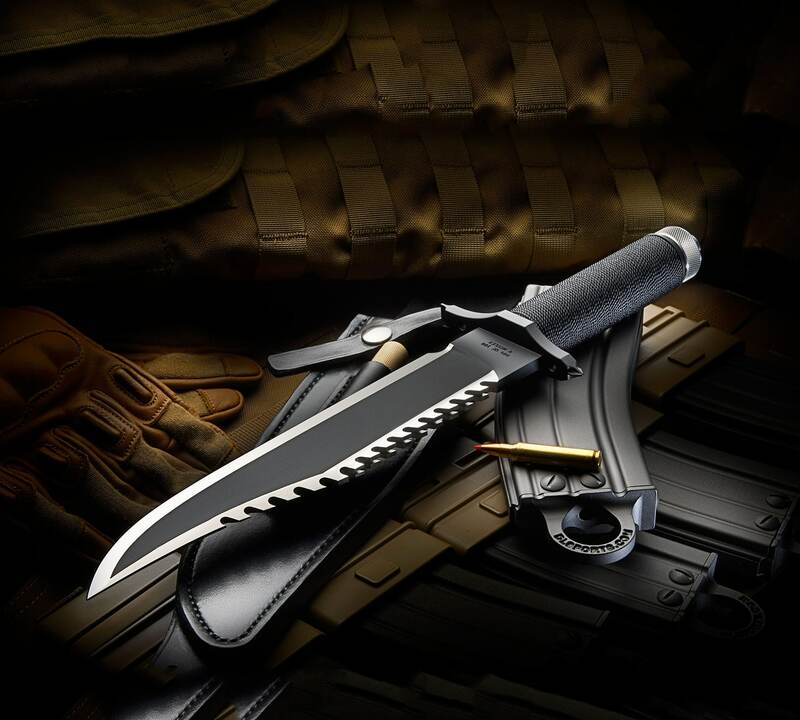 Jimmy Lile crafted the legendary First Blood Knife used in Rambo. In honor of his iconic creation, we have continued to produce Jimmy Lile’s knives to the hightest standards of custom knife making today. We call these tributes to the Lile legacy, “Next Generation” Lile knives. Jimmy Lile’s life has also been comemorated in our book James B Lile, The Arkansas Knifesmith – Knife Maker to the World. Discussing not only his unique approaches to perfecting his knife designs, the book also gives insight to the upcoming of this amazingly talented knifesmith. 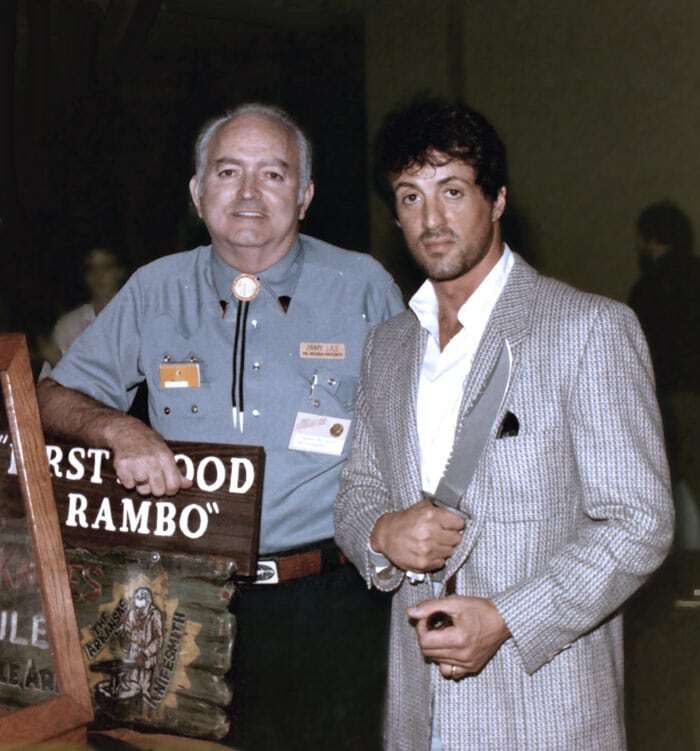 Blade Magazine Cutlery Hall-Of-Famer Jimmy Lile is all smiles as Sylvester Stallone holds the Rambo Mission knife during Dan and Pam Delavana’s California Custom Knife Show at the Disneyland/Sheraton Hotel in Anaheim in 1985.